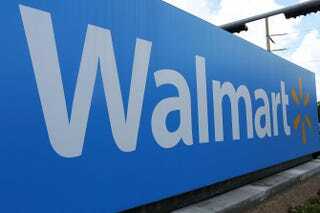 A Mississippi man was arrested for detonating an explosive after allegedly throwing a newspaper-wrapped package into a local Wal-Mart store around 1:30 a.m. Sunday, the Associated Press reports. Marshall E. Leonard of Tupelo, reportedly known for flying a 4-foot-long Mississippi state flag from his car, was charged with detonating an explosive and accused of bombing a Wal-Mart because the store had stopped selling the state flag, which features the Confederate battle flag in the upper left section. According to the report, the explosive made a loud noise but did not cause any damage when it was thrown into a 24-hour Wal-Mart in Tupelo early Sunday. Bomb technicians said that there were enough explosives to damage the store if the bomb had been assembled differently, Police Chief Bart Aguirre told AP. Authorities also searched Leonard's car and home. Wal-Mart is among quite a few retailers that stopped selling Confederate merchandise after the June massacre at the Emanuel African Methodist Episcopal Church in Charleston, S.C.
"He's a strong supporter of keeping that flag flying. … This is his way of bringing attention to that," Aguirre said. "An employee was sitting [in] the vestibule taking a break. He told the employee to run—that he was going to blow the place up. He throws this package into the front entrance of Wal-Mart. He flees and the employee flees," Aguirre said.